Three-seater sofa from the Bastiano series by Tobia and Afra Scarpa. 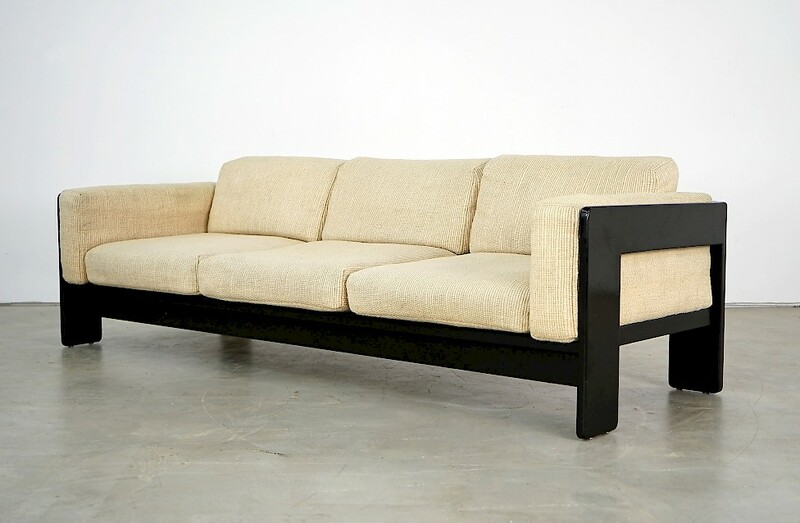 The piece has a black ebonized oak frame and original sand-colored pillowcases. The upholstery has been renewed. Accordingly, the piece is in an excellent vintage condition with occasional traces of use. Fittingly there are two armchairs of the Bastiano series available.